Well, the heatwave has (apparently) passed us but it’s still pretty warm out there, and some pretty hot golf scoring…finally the run of the fairway is paying dividends! Grumpies had a good turnout despite the heat (mad dogs and Englishmen?! ), 22 game players battled it out, the winner was Ro Griffiths on +7, from Mariana McDermott on +6, and the old veteran Ray Lind at 90 years young on +4. Twos went to Ro Griffiths, and Roger Smeaten. Thursday club saw the thermometer hitting 34°c and many players were thankful their shots took them into the trees keeping them, off the straight and narrow..and oh so hot fairways!! The winners were Mariana McDermott & Bob Schofield 46, 3rdBill Jago 45, 4thKris Chamberlain & Arthur Warren 44. Two’s: Kris Chamberlain, Sandra Petersen, Trucker Trev, Pete Price, Malcolm Wood, Dayle Scrimshaw & Captain Andy; nearest the pin: Captain Andy….fortunately for Andy’s group, tap beer was unavailable as there were penalty jugs aplenty in his foursome! Ladies interclub has begun with the Silvers going to Masterton and the Bronze team to Kapiti. Amazingly, as we in Martinborough were basking in hot sunshine, the golfers over the hill were all decked out in their wet weather gear! After the first round the Silvers are in 3rd place and the Bronzes are top of their division. On 11thFebruary the Silvers head to Otaki and the Bronzes play at home against Masterton. Debbie hosted 20 women for the “She Loves Golf” event. It was good to see them having a bit of fun while learning a few rudiments of golf from Joel. Hopefully some of them will be inspired to take up the sport. Thanks for all of your efforts Debbie. Wednesday 13 February is ladies opening day. 18 and 9 hole players will join together to play 13 holes of Las Vegas Ambrose where the roll of the dice decides whose tee shot will be used! Club opening day was held on Sunday, with random drawn partnerships playing holes 1-6 ambrose, 7-12 4BBB and 13-18 foursomes. The winners were Captain Andy & Ann Hume 63, 2ndLizzy Thomson & Malcolm Henderson 56, 3rdSally Fairbrother & Bindy McLeod 55, 4thTora & Lizzy Goodall 54. Good luck to all the guys heading out to Riversdale this weekend – make sure you pack plenty of Panadol in case of any more hole-in-1’s!! Make the most of the good weather and good golfing everyone! Happy new year!! It’s hard to believe we are already through the first month of the year!! Summer has finally set in and we are in the midst of a beautiful heatwave …sorry farmers…thumbs up vintners and sun worshippers! The course is looking supreme and is playing better than ever. Those of us lucky enough to play in this year’s Spark Pro-Am tournament were exceptionally grateful to the hard work of an army of volunteers that had a major clean up on their hands after the gale force winds that ripped through on the Wednesday. I understand that the chainsaws and leaf blowers were in action by sunrise! The day was a huge success and most enjoyable, with a fine banquet of food served after prizegiving! 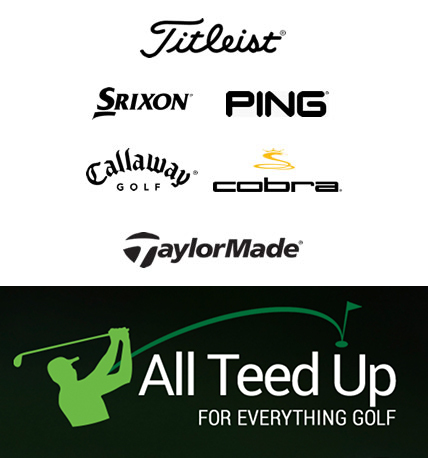 The previous Thursday was another big turnout – 58 golfers! 1stBill Gordon & Sheldon McNamara 43, 3rdJu Allen & Dean Schaef 42, 5thScotty the butcher 41. Twos: Joel Macklin (2), Sheldon, Richard Thompson, John Thomson and Dean Schaef, nearest the pin: Guy Walmsley. Grumpies results 1st Bill Jago, 41 2ndTed Peacock, 40 3rdNick Allen & Mariana 39. Twos: JD Smith, Rick Hargreaves and Kris Chamberlain. Men’s Interclub results – Div won 10-5 against Titahi Bay away and Div 11 won 9.5 to 5.5 against Boulcotts Farm – keep up the good work guys! Club opening day is this Sunday (3rdFebruary), format is 6 x AMBROSE, 6 x 4BBB, 6 x FOURSOMES. Registration at 10am, random draw at 10.30. BBQ and music from the Morison’s – please RSVP to Sue in the office for catering purposes. On a final note, congratulations to Tora who achieved one of his lifetime dreams of hitting a six at the basin earlier in the month in the cricket match between Wairarapa and Wellington…I won’t mention his morning score…quack!! As we move into the last week before Christmas, we’ve been lucky enough to enjoy some summer weather…finally!! There has been enough rain to keep the greenkeeper (and the farmers) happy and the course is looking better than ever. Grumpies played last week and man of the moment Terry Blacktop won the day with 44, 2ndRick Hargreaves and Doug Fergusson 42, 4thMalcolm Bridge 41. Thursday club had a good turn out and the winner on an incredible 53 was Jimmy McKinnel!! Incidentally ‘Cool Change Jimmy’ has sponsored Thursday Club and other tournaments over the past year and I would like to thank him for his generous supply of vouchers. In second place Matt ‘Tub’ Thomas, Gumboot Petersen, Rob McCreary and Sheldon MacNamara 41. Twos: C.C Jimmy, Tim Loe, Sandy Bidwill, Joel Macklin, Sheldon McNamara, Guy Walmsley and Roger Simmons; nearest the pin: Roger Simmons. Sunday began overcast but soon burnt off to reveal a superb day for the men’s shootout. On the 1stBob Tosswill got into the trees, and was always behind the ball game. 2ndJohn Errington lost out on a chip out. 3rdRick Hargreaves had a few problems up the fairway. 4thTrevor Petersen got the (gum) boot and was beaten in a chip out with 7 others. 5thDean Schaef could not get his chip rolling down bull hill. 6thAndrew Lawler had already survived 3 other chip outs, but the 4th was too much. 7thMark Lucock had an ambitious shot near the drain which did not come off. 8thBob Schofield had been playing well, but probably the night before was too much! 9thWayne Hunter probably had too much at the lunch break, and lost in a chip out. 10thMalcolm Bridge was travelling well but could not survive his 2nd chip out. 11thJohn Warner tried too hard with his chip out from the bunker and failed. 12thShane Hartnell had been playing consistently, but seemed to go to sleep on this hole. 13thDayle Scrimshaw failed in his only chip out. 14thTora Boyne got into the drain, then went zigzagging, and was always behind. 15thBill Jones the veteran, had lasted well, but was getting tired and missed out on the chip out. 16thDerek Stephens missed out in his only chip out with 2 others. 17thGuy Walmsley had managed to go further than ever before, but could not survive a chip out with the other 2. 18thThen there were 2 left, Chris Ranish and Pete Griffiths. Both had net 4, so again to another chip out, made difficult by having to chip from way above the hole in the rough. Pete first did very well, and Chris could not quite make it. So the overall winner was Pete Griffiths. Pete’s uncle Whitney was his caddy and ably assisted his win by keeping him on the straight and narrow!! Thanks go to Sandra for organising AND cooking the sausages and roast beef, Kris on the tractor and Terry for his hole by hole accounts!! This is my last column for the year so Merry Christmas and a happy new year to all the readers – enjoy the festive season with family and friends, take care and good golfing everyone!! With less than two weeks until Christmas is upon us, and despite having to mow the lawns at home twice a week it’s good news for our greenkeeper Tim who has had the most wonderful conditions to manicure our course! It’s looking great out there and many of us are looking forward to getting in some play during the Christmas break. The Grumpies results last week: John Thomson on 42 from Malcolm Bridge on 41 with Rob McCreery on 39, the same evening they had their Christmas closing dinner.During the past 6 months, the best par round was by Guy Walmsley and Kris Chamberlain, the worst par round was not named but the score was -9. the best stableford was Guy Walmsley. The winner of the order of merit was (oh no not again), Guy Walmsley with Doug Fergusson very close behind. As far as (ladies tees) jugs go, some of the Grumpies instead of buying a jug are buying a pint. 28 were recorded, and 6 of those were on 1 day, whereas the norm is around 50/70…. Terry Blacktop does a fabulous job wrangling the Grumpies; and was recognised for all his hard work he has done for the club over the (last thirty something) years by being awarded life membership at the recent AGM. Ray Lind was also awarded life membership for his lifetime dedication to the club, congratulations gentlemen – both very well deserved! Thursday club hosted ‘Smiddy’s Day’ last week and despite a weather bomb going off halfway through a decent number attended. Dayle Scrimshaw won the trophy (his wife Marie won it last year!) with 43, 2ndChris Ranish 42, 3rdSheldon McNamara 40, 4thEd Elworthy 38. Twos: Whitney Griffiths, Ro Griffiths, Doug Clark, Stu Taplin, Sandra Petersen, Liam Annis, Chris Ranish, John Warner, Sheldon McNamara, Ed Elworthy & Craig Andrews. Longest drives: Sandra Petersen, Rob Lopez & Dayle Scrimshaw. Nearest the pins: Doug Clark, Malcolm Bridge, Chris Ranish & John Warner. The ‘Master-borough’ challenge was held on Saturday; Men’s 0-18: 1stGuy Walmsley 42, 2ndBrian Russo & Jeff Ogg 41, 4thRodney Orr 40. Men’s 18+ 1stJohn Taylor 43, 2ndBrett Gould 41, 3rdBill Jones, Gumboot Petersen and Dayle 40. Ladies 1stHonor Clark and Raewyn Sutton 37, 3rdFiona Webby and Cathy Taylor. Longest drives: Kerry Mountcastle, Pip Smith and Dayle S. Nearest the pins: Fiona Webby, Karen Shaw, Andy Pottinger & Dean Gray. Martinborough snuck past Masterton on the challenge….33.33 average compared with 33.74!! Thanks to sponsors Jennian Homes and the usual suspects for making it a successful event! That almost wraps it up for this year, just a few friendly days left, enjoy the festive season – good golfing everyone!! As we edge into summer this weekend and tire of yet another ten-day forecast of rainclouds and inclement weather, we’re hanging out to use our umbrellas to shade us from sun rather than raindrops!! On Tuesday some of the Grumpies must have thought that it would be as wet as it had been on Monday, however, the afternoon turned out nice. Numbers were only 15 with the winner Guy Walmsley on +4 from Terry Blacktop on +3, with Randall Warner and Griff Page on +2. Nine amphibious golfers waded round the course on Thursday. Tim Loe and Richard Thompson took the spoils with 38, 3rdArthur Warren, James Blundell and Boyd Kenna 37. Nearest the pin Boyd Kenna – no two’s. Clearly the farmer’s rain-dance paid off! The ladies and 9-holers have wound up for the year so no more results from them. Saturday’s competition was shootout-medal-putting. 1stJulie Warner (65), 2ndJu Allen (66), 3rdAndrew Lawler (68). Ju also won the putting with 32 putts AND got the only two of the day. On Sunday Martinborough hosted Royal Wellington at the home to contest the Bidwill Cup. This golf match between Martinborough and Royal Wellington has been played every year for about 60 years. Last year we played at Heretaunga and lost the cup pretty decisively. This year on our home course we managed to win (by a narrow margin – but who’s counting?!). Member’s closing day and prize-giving is on this Sunday and then the Open – closing day is the following Saturday 8thDecember. The Men’s shootout final has been rescheduled to 16thDecember. Take care out there in the elements, enjoy watching the grass grow and listening to the water tanks filling!! Good golfing everyone! 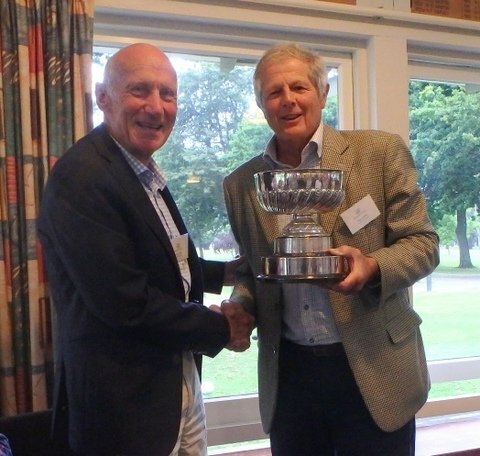 Ro Griffiths (Martinborough GC) accepting the Bidwill Leckie Cup from Tom Leckie (Royal Wellington GC). As we creep another week closer to summer and sneak another close rugby game the evenings are getting warmer and the golf should be getting longer. The course is drying out and the greens are improving after the coring. Grumpies results this week:- 1stDoug Fergusson on 44 from Griff Page on 41, and Tom Bunny and Andy Morison on 39. Thursday club had a good turn out, the two Trevor’s (Hawkins & Gumboot) won with 42 points, 3rdCraig Andrews (41), 4thGriff Page and Sandra Petersen 40. Saturday competition:- 1stMalcolm Wood 41, 2ndBill Jones 38. Sunday’s tournament was nett and the Two Trevor’s dominated again, Gumboot (Mr Petersen) 62 edged out Mr Hawkins on 63, 3rdJulie Warner 65, 4thRick Hargreaves 67. This week sees John Warner take on Chris Ranish in the Men’s senior club champs, and Darren O’Dwyer take on Craig Andrews for the Junior’s – good luck to everyone. Coming up….Thursday 6thDecember ‘Smiddy’s Day’, Saturday 8thDecember Christmas tournament and ‘Master-borough’ challenge. Have a great weekend and enjoy Toast for those that are going – hopefully the sun will shine and the wind won’t blow!! Good golfing everyone! We certainly have experienced some interesting spring weather over the last week with freezing rain one day and hot sun the next!! Last week the 9 holers held the 9 Hole Open Day Stableford with 72 in the field, participation from 11 Clubs. Weather was perfect and a fun day was had by all. Mens Division : 1st: Julian Howard 23 Pauatahanui, 2nd: Vallis Peet 16 C/b Feilding, 3rd: Colin Payne 16 Waikanae. Ladies Division 1: 1st: Sherryl Howie 21 Martinborough, 2nd: Heather Haswell 20 Feilding, 3rd: Fiona Burrows 20 Pauatahanui. Ladies Division 2: 1st: Jaquee Reid 23 & Winner of the Barb Smith Open Day Trophy –Martinborough, 2nd: Allison Russell 22 Martinborough, 3rd: Jodine Bunn 21 Paraparaumu Beach. The grumpies decided against venturing out in the nasty weather so no results from them! The ladies shootout final was held last Wednesday. It was a close competition with several chip outs along the way to determine who would be next to drop out. In fact, even the decider for first and second places came down to a chip out. In the end Angela Busby had a great chip which landed about 30 cm from the hole, but Sylvia Beavis’s was even better and she took top prize. Thursday was a miserable day but 29 golfers braved the fairways, 1stNick Morison (46), 2ndCraig Andrews and Andrew Sim (41), 4thBrian Russo (40). 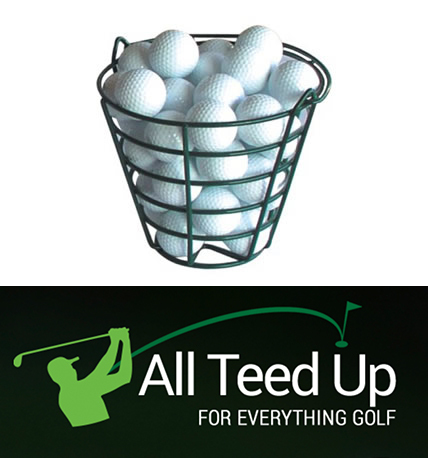 Nearest the pin – George Kirk, Twos: Craig Andrews took the entire pot! The weekend was a mixed bag of weather but we saw 17 couples entered for the 36 hole mixed foursomes (only 3 couples entered for the 72 hole, so this was shelved). Gross:- 1stNuki Gordon & Sereana Phillips, 2ndNigel & Ailsa Malneek, 3rdNick & Ju Allen. Nett:- 1stTrevor & Sandra Petersen (who also won the Sunday stableford challenge with a brilliant 48 points AND put the winnings on the bar – Cheers Gumboot!) 2ndRick Hargreaves & Elaine Howe, 3rdDayle Scrimshaw & Emily Laughan. Stableford:- 1stRo & Lyle Griffiths, 2ndDerek & Kareen Stephens, 3rdRaymond Matthews & Nicky Warren. Thanks to sponsors Pain & Kershaw and Sandra for organising the event so well. 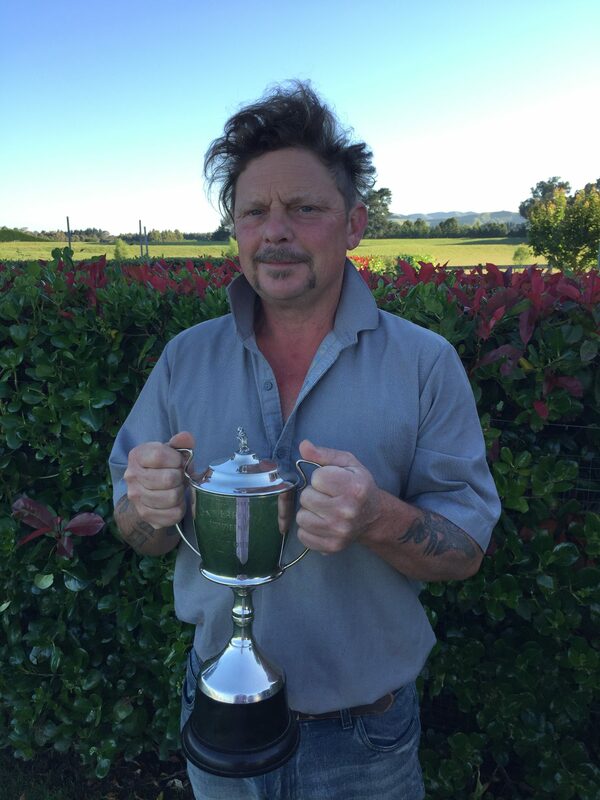 Finally, we sadly report the death of Ivan Taplin, an absolute stalwart of the Martinborough Golf Club who did huge amounts of work making the club what it is today. He will be sadly missed and are thoughts are with his family; there will be many happy golfing and euchre memories from all who knew him. 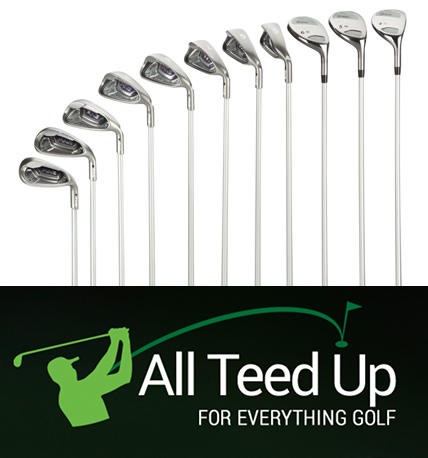 Well golfers, another great week of weather and a full round up to report for all groups! Grumpies start us off with Peter Price and Terry Blacktop winning with 43, 3rdGriff Page 41 and 4thNick Allen 40. The 9 holers went to Eketahuna last week for a fun day, a great day was had by all, Katrina Burgess came in with the best score of the day, and was extra special as it was her Birthday. Last week the club held two Murray Halberg competitions. The ladies winner on Sunday was Marie Scrimshaw and on Wednesday the winner was Marion McKenzie (on a countback from Sylvia Beavis). Thursday club’s winner was Julie Warner on a whopping 47! 2ndMalcolm Bridge 43, 3rdTrevor Hawkins and Sandy Bidwill 42. Nearest the pin – Ed Elworthy, twos: Greg Dalton, Malcolm Bridge, Sandra Petersen, Chris Ranish & Nick Allen. The annual ‘Smiddy’s Day Tournament’ has been booked in for 6thDecember, more details closer to the time. Sunday’s competition was nett and the winner was Darren O’Dwyer 66, 2ndKaren Stephens 67, 3rdMalcolm Bridge and Marie Scrimshaw 68, 5thRo Griffiths, John Taylor, Trevor Hawkins, Bill Jones, George Kirk & Trevor Petersen 69. The course is looking fantastic, special thanks to Trevor, Dayle and their army of volunteers. The final piece of exciting news isthe appointment of a new Head Greenkeeper. Tim Bargh will commence with the club on 5thNovember. Tim is born and bred in South Wairarapa and is currently 2nd in command at Miramar Golf Club. Enjoy the week and hopefully no lawyers will be required after the 72 holes mixed foursomes – good golfing everyone!